Digital marketing is now becoming the most essential part of any online business. 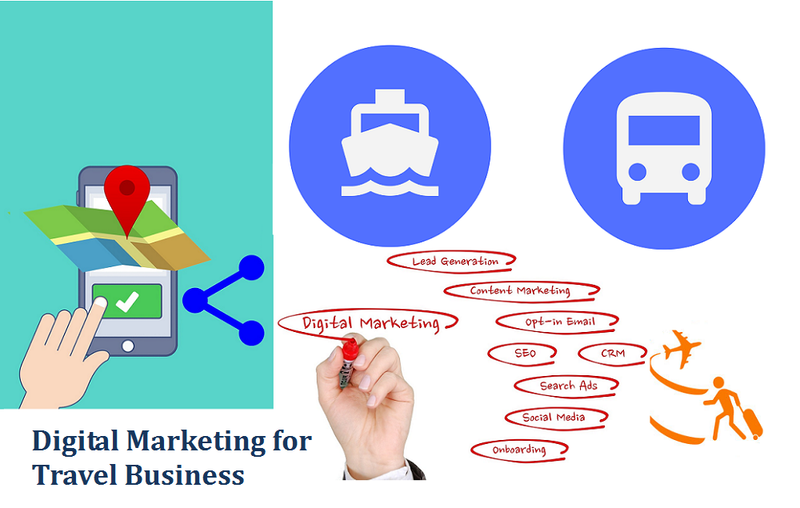 As an online travel agent or package travel and tour conducting company, you have a bright opportunity now to enhance your business in a shorter time by using digital marketing. All you need to have a healthy strategy planning. But, this is not an easy task to do, you need to do some research work and follow some guidelines to make it run in the right track. This is why I’m writing this article to make your initial struggle smooth. In this article, I’m going to write about some significant steps which can help you to build a proper strategy planning for your online travel business. So, let’s have a quick look at those points. According to Google, 55% of leisure travelers research a lot before they book a trip for their holiday vacation. The number of search keywords is increasing day by day and you just need to catch this point to make your business flourish among them. Always try to gather some information about their search terms, places and queries to set your business according to those increasing demand. You can make some services pages to show them more cheaper and profitable offers to avail your services. There is always segregation among the travel guide searchers. They have different types of demand according to rate, age and distance. The best way to keep eye on your targeted audience is studying your competitors. You can check their social media interactions, website blog posts and comments to get an overall idea about what visitors actually want from these types of travel providing websites. You have to provide your customers with what they want. So, after getting some ideas you can create some promotional offers or discount coupons for your visitors to attract them into your services. Try to provide them with some extra facilities to make their journey more comfortable and memorable. Branding is the most powerful part of any online business; it means you need to be famous among your targeted audience and zone. You can create a blog attached to your website and write some attractive content with discount offers to let your audience know about you and your company. Guest blogging is the most effective way to get quick popularity. You just need to convince other website owners to publish your article on their website blog with a hyperlink pointed to your website. If you are not comfortable in these types of work then you can easily hire some guest posting services providing company to do these all work with more efficiency. After feeding your website blog with attractive content and pictures, don’t forget to share the URL in social media profiles like Twitter, Facebook, Instagram etc. Social media is the safest and secure way to get some quick popularity into the Google searcher and it’ll also help you to make your company name as a brand. There are many travel agents and companies you can find on the internet that is already famous by maintaining a routine blog post habit and some serious involvement in social media. Now, the time is yours. Try to maintain all the highlighted points while you are creating a travel website and work on it to see it in the top of major search engines like Google, Yahoo and Bing and hope for the best.